Curdled milk. An exploded down pillow. The beat-up cover of one of those composition books you used in elementary school. Whatever you see in recent satellite images of Arctic sea ice, it’s not the unbroken ice of the good old days (blank sheet of paper, smoothed satin sheets). 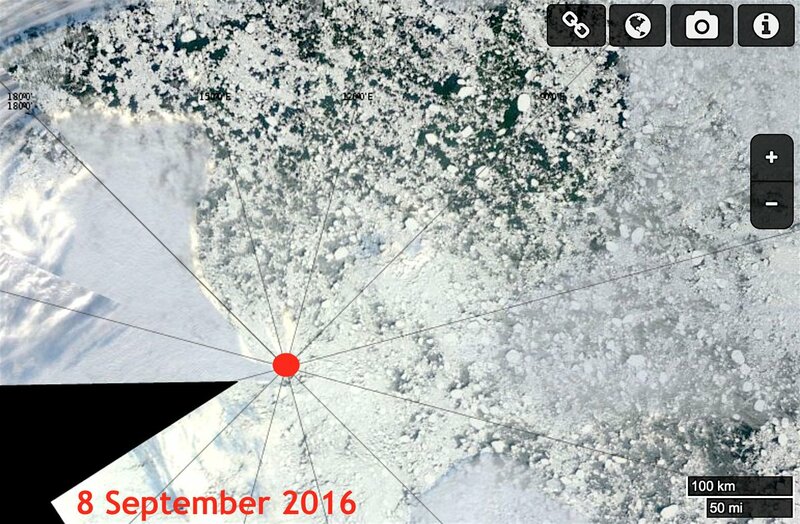 2016 is on track to see the second-lowest Arctic sea ice extent, and that ice is looking pretty cruddy. This grainy, styrofoam-peanut ice is “the new normal,” according to NASA officials. 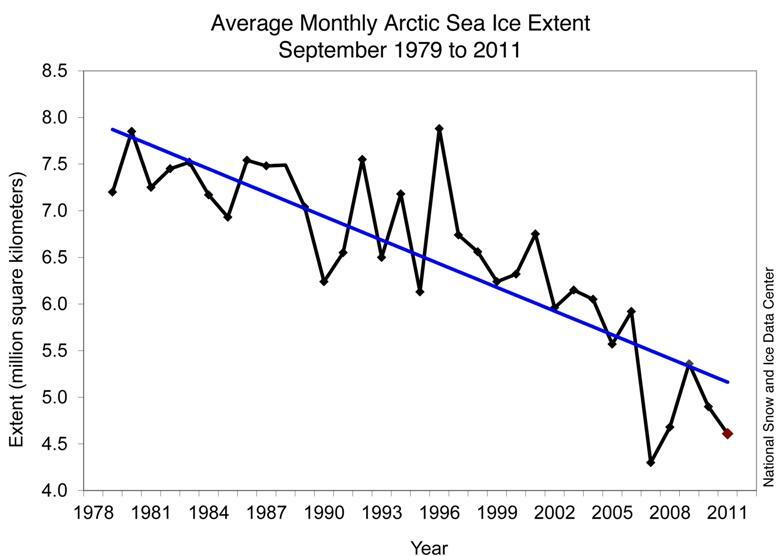 As temperatures in the Arctic soar, not only is the total amount of sea ice shrinking, but it’s also thinning out and breaking up. While 2012 may still hold the record for lowest sea ice extent, all things considered, it’s hard to say 2016 is really doing any better.